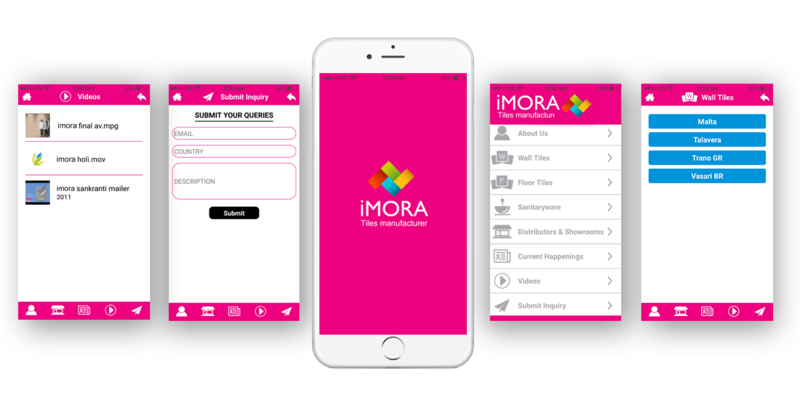 Tiles and Texture Business iPhone app named as an iMora. In this app distributor can sell and users can see all the products and designs. this app include all the distributors and showrooms address are available so that Users can submit the inquiry to the any address. There is functionality of latest news and videos available in this application.